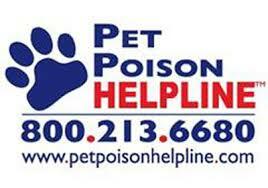 You can now have a veterinarian come to your home and take care your pet?s medical needs. Sometimes getting your pet into the veterinary clinic can be difficult?either because of work schedules, transportation issues, or maybe your pet just does better at home. CARE-A-VAN House Calls for Pets is able to come right to your home, allowing for a more focused and personal exam for your dog or cat. This is a new satellite service of Companion Animal Clinic, a practice that has been established for almost 30 years in Roseburg. CARE-A-VAN will provide veterinary services for clients who may not be able to get into the clinic setting, while Companion Animal Clinic will be able to perform surgeries, X-rays, dentistries, and any other services for the mobile practice clients. If you are a regular client of Companion Animal Clinic, you will have a full service connection with all of your pet?s needs. If you regularly see another veterinarian in town, but you want your pet seen at home, then your records can be shared with that clinic. 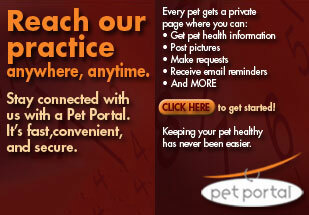 We want your pet to have his or her needs met in whichever manner that is best for everyone. The veterinary services include full physical exams, vaccines, bloodwork, and minor procedures. You and Dr. Cutting will make a plan for getting the best veterinary care available for your pet?s medical care. Additionally, some people who are facing end-of-life decisions with their loved pets may choose to have euthanasia in the privacy of their home. Dr. Cutting can help with all arrangements in this difficult time. Dr. Christy Cutting has regular hours at Companion Animal Clinic. She is available for house calls after hours, Tuesdays, and weekends. Please call or e-mail to work out a good time for your schedule. Cash, checks, VISA, MasterCard, and Discover are all acceptable forms of payment. In order to keep costs down, there is no billing for routine services or products. Payment in full is requested upon time of service unless credit arrangements have been made in advance. All charges are the same as charged by Companion Animal Clinic, with an additional house call fee. This house call fee will depend on your location and time involved. Should your pet need to be hospitalized, Dr. Christy can help with arrangements with Companion Animal Clinic or any other veterinarian of your choice. Click here to view CARE-A-VAN website.